So Here’s The Thing About Amazon. . .
Today I want to discuss Amazon and its effect on the book industry and bookstores, as well as why I feel it’s a less than deserving recipient of your business. First, I’d like to point one thing out: This post isn’t intended to bash anyone and everyone who buys from Amazon, or to offend you in any way (unless you’re Jeff Bezos—in that case, feel free to be offended). I’ve bought stuff from Amazon, too, and yes, I’m ashamed of it (which is why I’ve decided that I’m never going to buy something from Amazon again), but trust me, I’m not trying to preach or scold people. Really. Amazon is basically killing bookstores. Really. It might not come at them with knives and pitchforks, but trust me—it’s killing them. How? Well, Amazon has pretty low prices, right? Small stores have little chance of competing with those prices, given their additional overhead and costs. 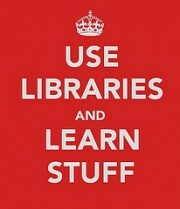 Plus, there’s the added convenience of not having to leave your computer to buy a book. Many people are choosing to buy their books online instead of from a physical bookstore or its website. Bookstores, big and small, lose money, and, sometimes, at a great loss to the community, they close. Why is it a great loss to the community? Well, say you buy a book from a bookstore. Yay! You give them your money and leave. They use that money to pay their employees, who then go and buy other stuff. The money continues to circulate within the community, and allows it to flourish and offer more services. Not to mention the fact that bookstores and other businesses may make donations to worthwhile community causes, which only helps it more. In most states, if you purchase something from Amazon, you won’t have to pay sales tax, like you do in a real store, and Amazon won’t have to pay any taxes to the state. Which is just not fair. At all. This gives Amazon even more of an advantage over local businesses; and state government loses out on funds for education and other public services. To pay sales tax, a business must have a physical presence in the state. But even though Amazon has data and distribution centers in several states, they often get out of paying the tax. Luckily, there is a possibility of this changing. Amazon has an ugly history of not being very nice to book publishers. Say a publisher decided that they want to change the price of a book on Amazon. If Amazon is not happy with this price, they often will simply refuse to carry the publisher’s books anymore. They’ll just pull the books from the “shelves,” as it were. Unfortunately, no publisher is going to take the chance of having this actually happen. They’ll forget about the proposed price, and leave it to Amazon. They can’t afford to lose them as an outlet. Amazon has even removed the “buy” button from publishers’ titles. Oh, and there was the time they removed several books that contained gay or lesbian content. Also, Amazon is swiftly working on eliminating any competition they might have in the book business. The most recent example of this is their purchase of the social reading site, Goodreads. But competition in an industry is actually a pretty good thing. Not only does it encourage retailers to lower their prices, it also encourages innovation and creativity. One company owning everything just isn’t a good scenario. Finally, and this might not matter to you as much as the other reasons Amazon isn’t that great, but the fact is that Amazon doesn’t give a crap about books. Amazon is actually using the books to try to get you to buy other things. So if you go online to try to get the latest John Green book, they hope you’ll see something else you want, and then something else, etc., etc. Books are just a vehicle to get the ball rolling. But in a real bookstore, I can’t help adding, at least you know the people you’re buying from actually care about what they’re selling, and will talk to you about it. That’s why I feel Amazon really isn’t that awesome and doesn’t deserve the business it gets. Again, please don’t be offended if you buy from Amazon, because that definitely wasn’t my intention. There are some good sides to Amazon, such as how it gives smaller publishers a chance to really sell their books; I just feel that the good doesn’t even come close to outweighing the bad. P.S. If you’re not sure of some alternatives to Amazon for your online book-buying needs, there’s IndieBound, Powell’s Books, and also AbeBooks, which, while owned by Amazon, involves you buying books from actual bookstores and individuals. P.P.S. Also, thanks A LOT to Mom and Dad for explaining so much of this to me, and proofreading to make sure everything was accurate!